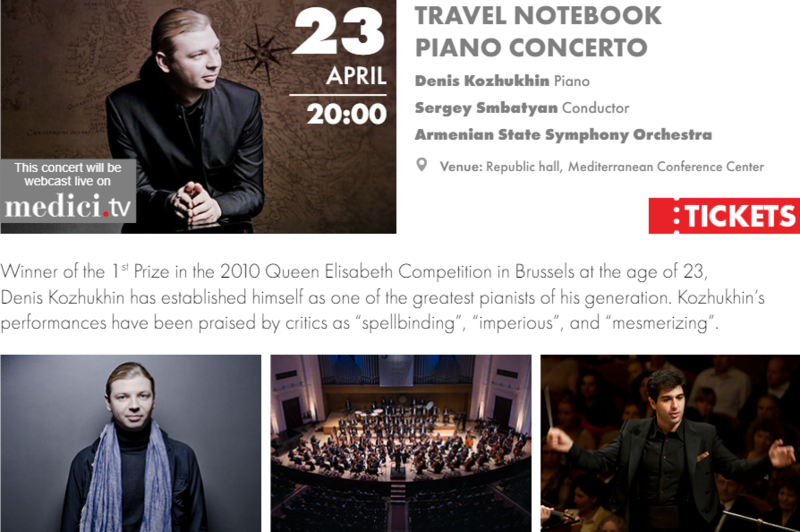 Denis Kozhukhin comes to Malta for the first time and presents a very poetic piano concerto, a kind of musical diary called “Travel Notebook” by Maltese composer Alexey Shor. “It is always extremely interesting to play a piece which consists of musical reflections of certain places in the composer’s mind. I played some pieces from Liszt’s Years of Pilgrimage and also from Albeniz´s “Iberia” but I will be playing such a piece by a living composer for the first time and I am really excited. I am sure that this ‘journey’ through all those places will be extremely interesting for the public,” said Denis Kozhukhin. Scheherazade, Op. 35, is a symphonic suite composed by Nikolai Rimsky-Korsakov in 1888 and based on One Thousand and One Nights. This orchestral work combines two features typical of Russian music and of Rimsky-Korsakov in particular: dazzling, colorful orchestration and an interest in the East, which figured greatly in the history of Imperial Russia, as well as orientalism in general. The name “Scheherazade” refers to the main character Shahrazad of the One Thousand and One Nights. Concerto for Piano and Orchestra “Travel Notebook” by Maltese composer Alexey Shor is a very poetic piano concerto, intimate and at the same time full-bodied work, a kind of musical diary. An Armeinan pianist Nareh Arghamanyan and the Armenian National Philharmonic Orchestra presented the world premiere of Alexey Shor’s “Travel Notebook” in July 2017 on the “Armenia” International Festival and Competition. The Concerto received a long standing ovation that lead to multiple encores.